The game, which will be played at Tampa Bay, marks the most expensive secondary market ticket for a Lightning Game 7 at home of the decade. Tampa Bay has played in six NHL playoff Game 7s and has hosted two. In 2015, the Lightning hosted the Detroit Red Wings in a conference quarterfinal Game 7 and fans paid an average of $284.81. The winner of Wednesday’s game will play the Western Conference champion Vegas Golden Knights for a shot at the Stanley Cup. The Caps have never won a Stanley Cup while the Lightning won its only trophy in 2004. The average asking price for this Game 7 will make it the most expensive ticket of the series. The next priciest ticket on the secondary market was for Game 5, which cost fans an average of $367. The average cost of a ticket to a game in Tampa for the series is $361.75, compared to $315 in Washington. The get-in price for Wednesday’s game is $150, and according to TicketIQ, there are nearly 2,500 tickets still available on the secondary market. The Tampa Bay Lightning have played in four NHL Eastern Conference Finals since 2011. 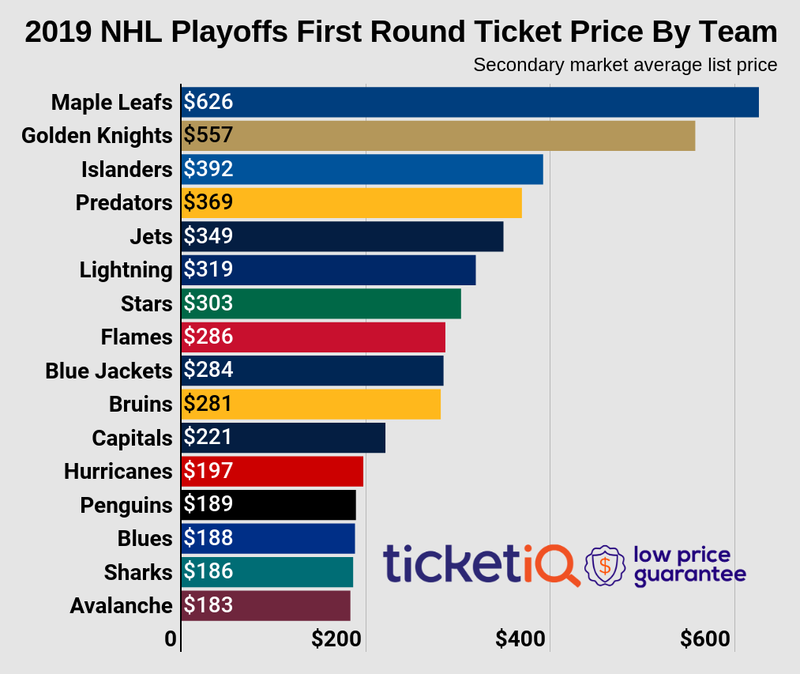 And according to data from TicketIQ.com, Lightning conference finals tickets this year have the highest asking price on the secondary market. With two games already played in Tampa, the average asking price for Tampa Bay home games in the series is $390. The next most expensive conference final in Tampa Bay was in 2015, when fans paid an average of $383. Interestingly, the get-in price of $117 for the 2018 conference finals is the second most expensive for Tampa Bay on the secondary market, behind the $138 get-in price for the 2016 edition. For the first two games, fans paid an average of $316 for Game 1 and $343 for Game 2. Should the series go back to Tampa Bay – Game 3 is in Washington tonight and the Caps have a 2-0 series lead – fans are driving prices higher. Game 5, if it’s needed, is trending at an average asking price of $335 and the if-needed Game 7 has the highest average asking price of any game in the series at $568. The series as whole has an average asking price on the secondary market of $423 – more than $150 less than the Western Conference’s Vegas-Winnipeg series. In terms of Eastern finals, it is the fifth priciest of the decade. The most expensive was the 2014 Montreal Canadiens-New York Rangers matchup. ... So far in the NHL playoffs, the Tampa Bay Lightning hasn’t needed more than five games to finish off an opponent. Their dominance seems to be causing plenty of demand among fans – the $524 average asking price on the secondary market for Lightning conference finals tickets in Tampa is the highest its been since TicketIQ.com began tracking data in 2011. In fact, that price is more than $180 higher than the $342 Lightning fans played on the secondary market in 2016. The cheapest conference final in Tampa over the last decade was $229 in 2011. Looking back across the average asking price for conference finals across all teams, the current price of a Lightning tickets ranks No. 10 out of 28. That said, the price of a Lightning ticket won’t be the most expensive for the conference finals this year – that honor looks to go to the Vegas Golden Knights, who are currently commanding $823 per ticket. Only the Lightning and Knights have qualified for the conference finals so far. Tampa Bay will play the Washington-Pittsburgh winner in the East while Vegas will play the Nashville-Winnipeg winner in the West. For the upcoming series, Tampa will host four games. The most expensive currently on the secondary market are the last two games, both of which would be on an if-needed basis. Average asking prices for those games are $570 and $567, respectively. The cheapest game is currently the first game, with an average asking price of $444. The second game is at $517. Just getting a seat in the arena will be costly – the get-in price ranges from $230 for the if-needed final game to $165 for the first game in Tampa. According to TicketIQ.com, there are less than 900 tickets per game available on the secondary market.